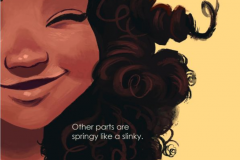 I have always loved long curly hair and as a teenager I used to draw girls with flowing tresses (we did not have he phrase “slayed tresses” in Ireland back then). My own hair is fine, uber-straight and incapable of holding any kind of curl or kink. So drawing curls was the closest I got. And photographing Barbies for BlackHair magazine. But not everyone who is capable of curls wears their hair curly. There are plenty of reasons for that – which I won’t go into here – but part of it has to do with confidence. 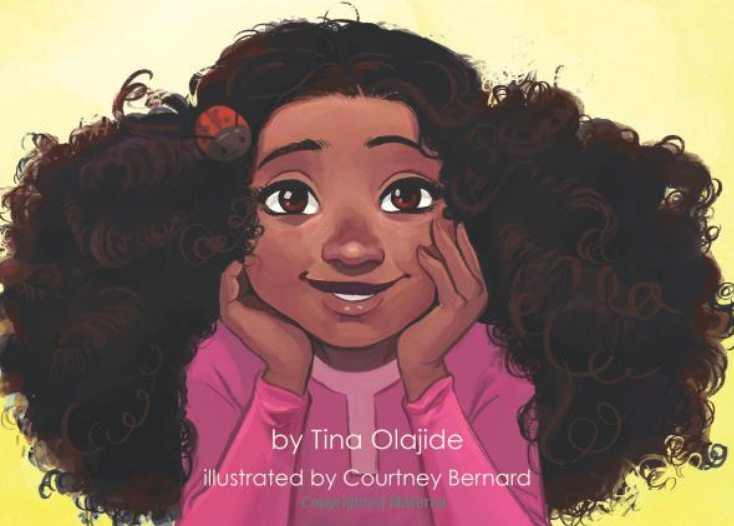 If you think your child might be a naturalista who would like to wear their hair in a natural afro then a book featuring BIG HAIR might guide their journey. When kids are young it’s all about self-image and empowerment. And that’s where books come in. 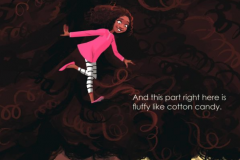 Some books are not specifically about hair but feature a character with a natural style. Most are in the 3 and upwards age-range. So let’s go. 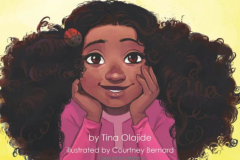 Here is a list of the Top 15 best big hair books for children. 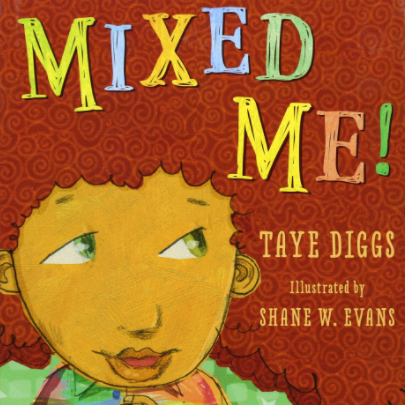 Most of my book choices feature a child of African descent living outside of Africa and therefore surrounded by European hair. 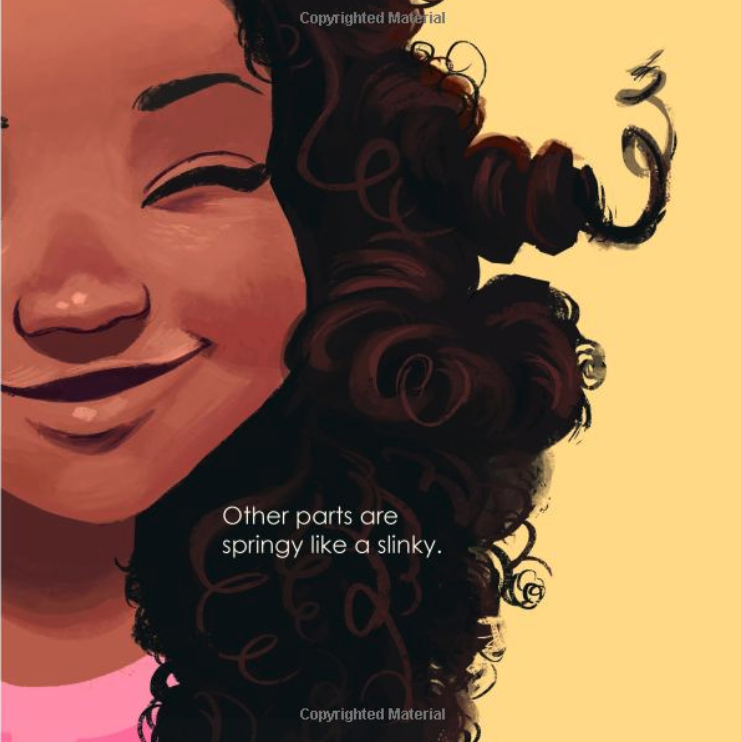 In this book a chirpy little girl faces that situation head on with her poem. The artwork by Courtney Bernard is beautiful so I’ll let the pictures do the talking. 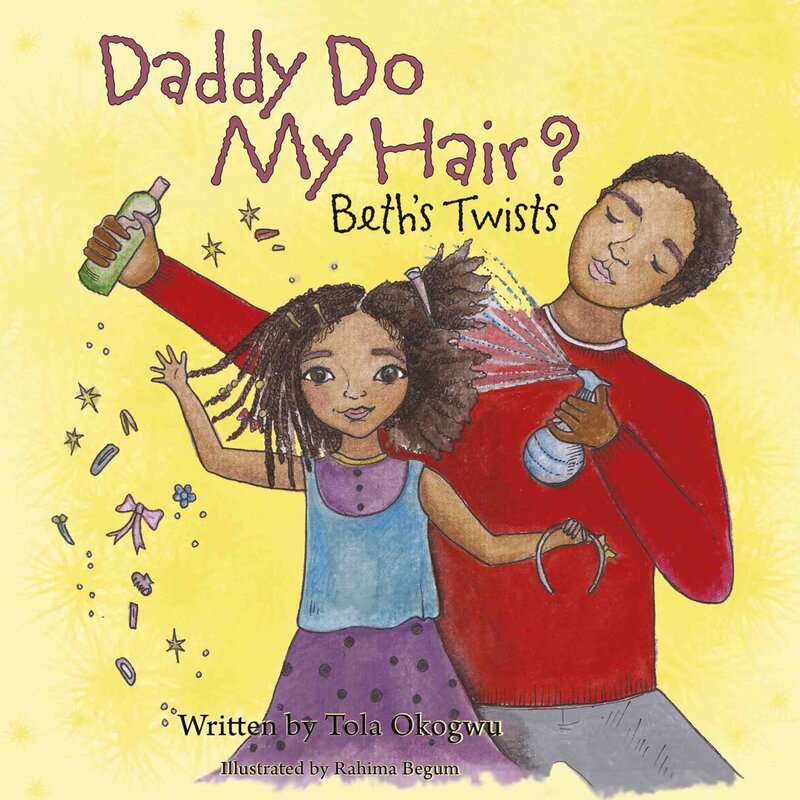 This book has a sister book called Daddy Do My Hair-Hope’s Braids. Art is by Rahima Begun. 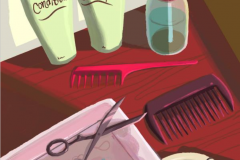 The author does book readings around London and has her very own blog called My Long Hair Journey. 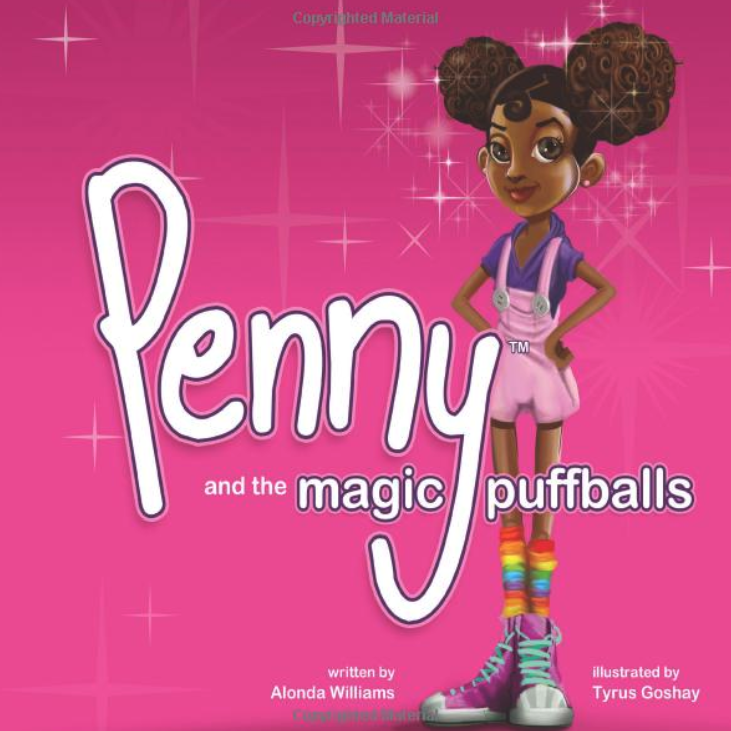 This book has a Jamaican little girl with Afro puffs on the cover. On the back cover the same girl in her contemporary clothes is seen slapping away happily on African drums. As part of the Irish diaspora I appreciate books that make other people feel at home in all the countries they identify with. 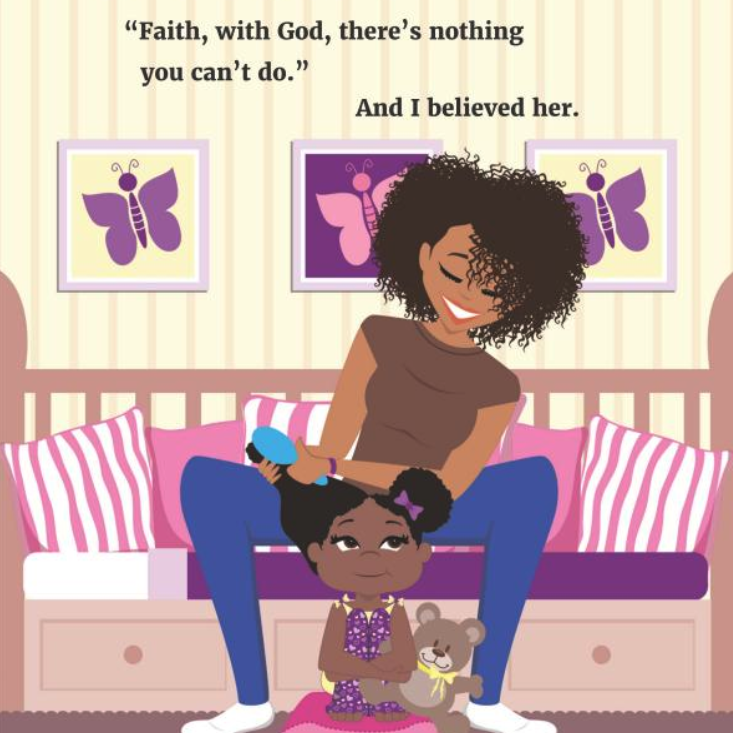 Check out the gorgeous mother in this book with her skinny jeans and natural fro. There is a sweet picture off the little girl sleeping with her hair in a silk scarf as she dreams of an exiting future visiting the Paris, Cuba and Africa. 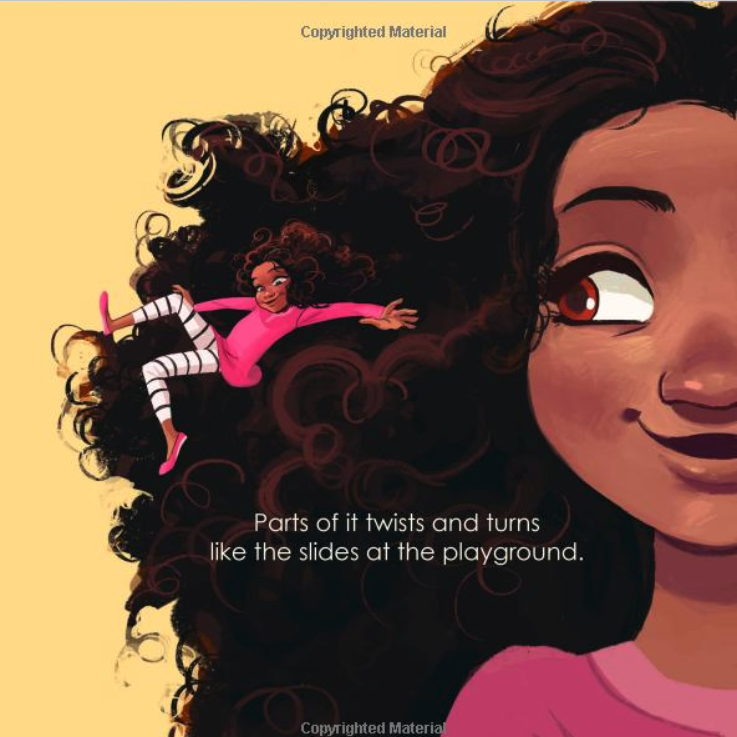 Daveia Odoi is the illustrator. 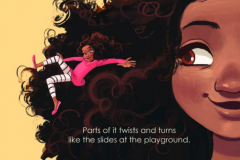 The author made up this bedtime story to give her daughter, Paris, pride in her hair. 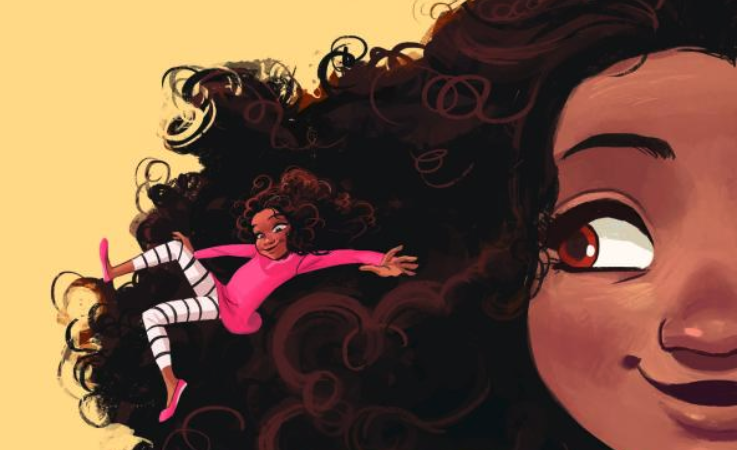 the little girl had noticed her hair was different from her schoolmates so mom stepped in! 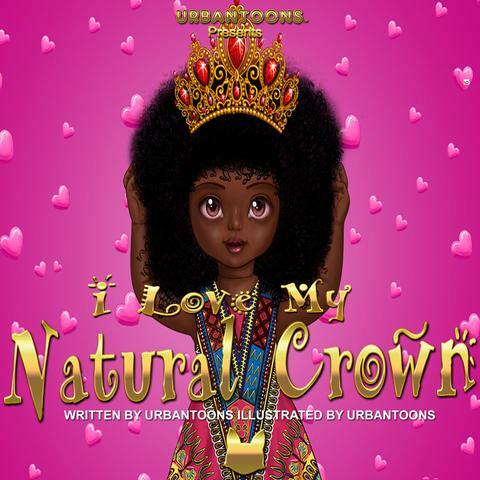 Tyrus Goshay is the Illustrator. 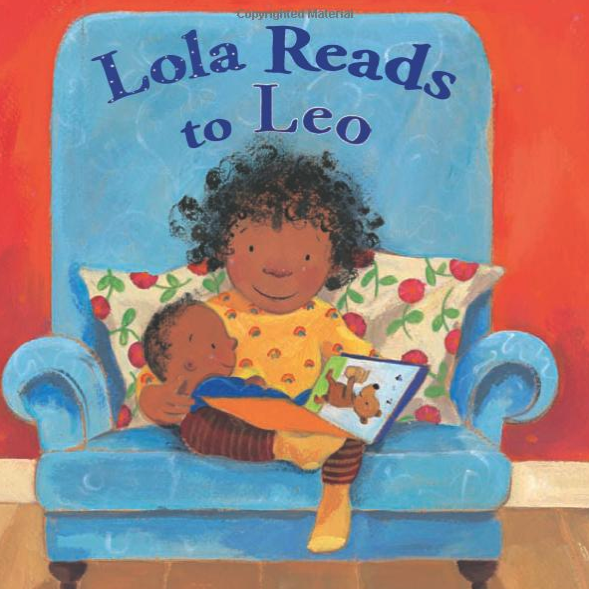 Usually in this series Lola wears her hair in cute twists but in this story both mum and Lola go natural. Rosalind Beardshaw did the art. There was very little by way of a preview on Amazon so I hopped over to the author’s website – This small and carefully curated site is a delight , well worth a look. It has elegant, girlie art, three dancing bunny rabbits, prints for hanging and a colouring book. And Mechal ships to Europe. 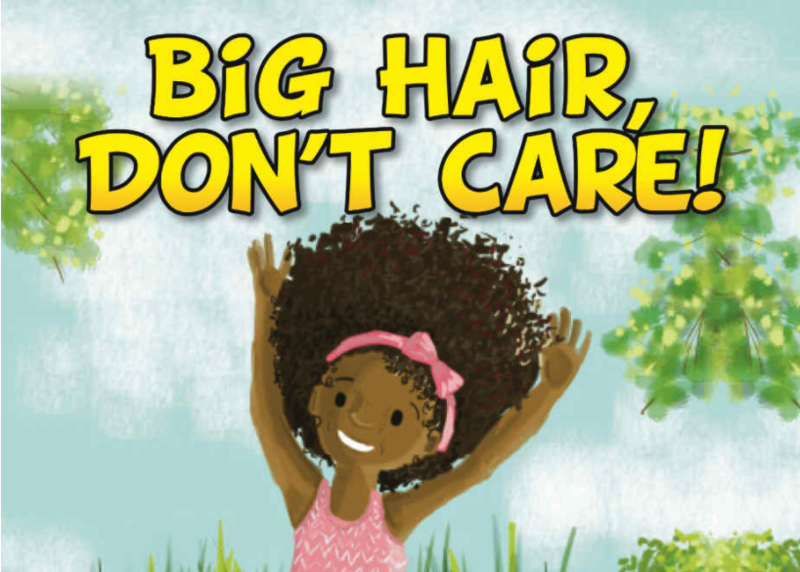 My own book has a strong theme of natural hair. 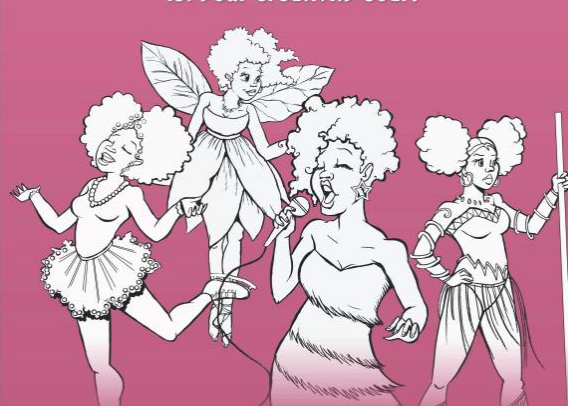 The lead character Bekki the Fairy has a crazy do (don’t ask) but the hairstyle you see most in the book is the loose natural style of Geeky Mikita the genius baby-sitter. 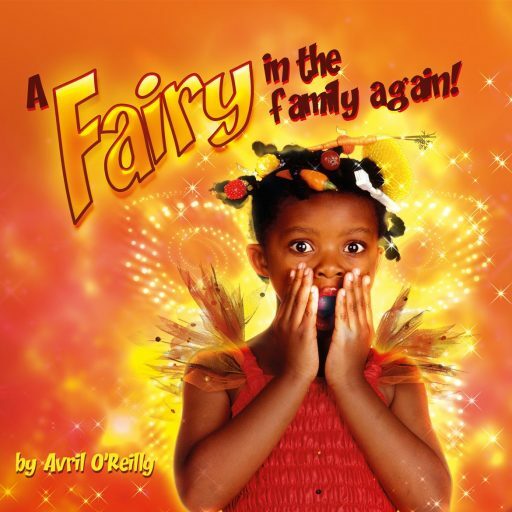 A Fairy in the Family Again. Click on the pic to buy. The stylist gave Mikita a grey streak in honour of Albert Einstein. There is a suggestion that scientists are too busy for nice hair and Bekki offers to fix Mikita’s hair. This is just Bekki being tactless – and it’s kind of an in-joke as we’ve worked with this model since she was a little gal with big hair. 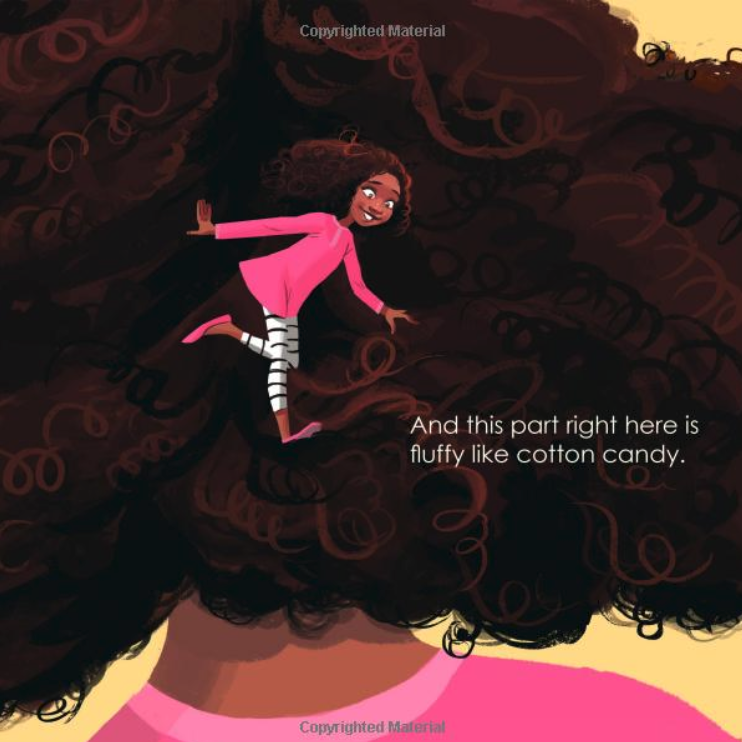 At the back of the book a real life scientist, Mumbi, talked about black hair and gave all the baby-sitters hair advice. 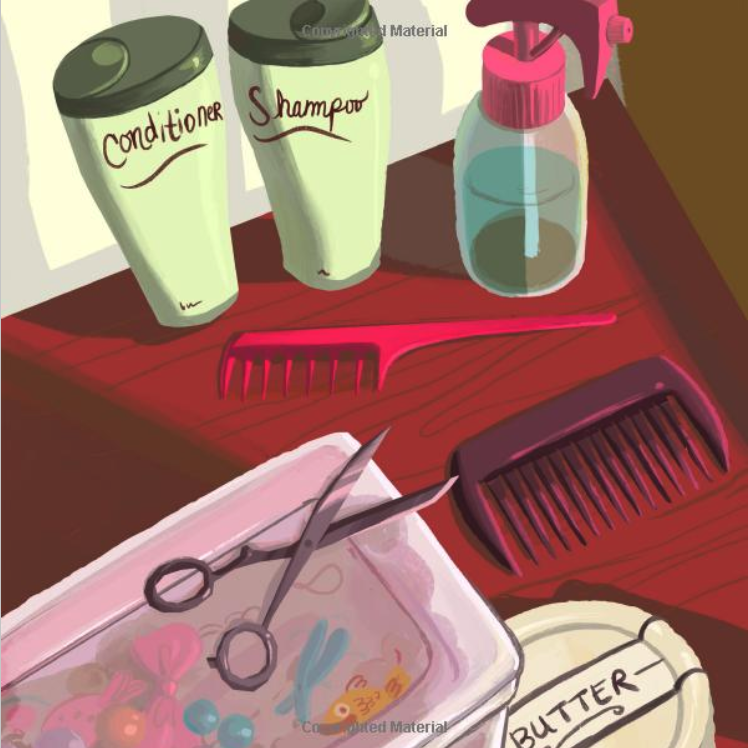 There are jobs for female scientists in the hair industry. Black women entrepreneurs played big role in the products we have today. In amongst all the silly scenes in my book is sneaky positive message! This book really is ‘last but not least’. Urbantoons started following me on Instagram just as I was finishing up this blog. I’m happy he did! He hails from Mali and has wonderful items (dashikis and hi-tops!) on his website celebrating ethnicity, identity and the spread of multiculturalism. Have I missed any? Please let me know. Anyone who knows me probably knows that I own far too many dolls for someone of my age. My collection of Christie, Wesley, Madison, Nikki and other black Barbie dolls is a guilty pleasure. I tried to share a few with my niece but only managed to set one doll free. With Christmas coming I thought that now would be a good time to do a round up of some of the sources of dolls of colour. Visitors to my site come from all over the world so my list of sources will too. I’ll start with a few alternatives to Amazon and then I’ll do a few guidelines on finding the best Barbies on Amazon. 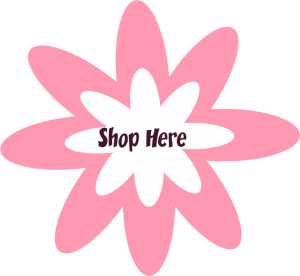 This website has a mixture of baby dolls, best-friend dolls, boys’ toys, accessories and books. Many of the dolls listed can be bought directly from the site which I think is UK based. Some of the dolls have sold out but this site is all about sharing the info so the listings and picture remain online. They want black kids to have black toys and nice childhood memories so they seem happy to share info even if it means people shopping elsewhere. Good on them. The photography and descriptions on this site really show off the charms of each doll. 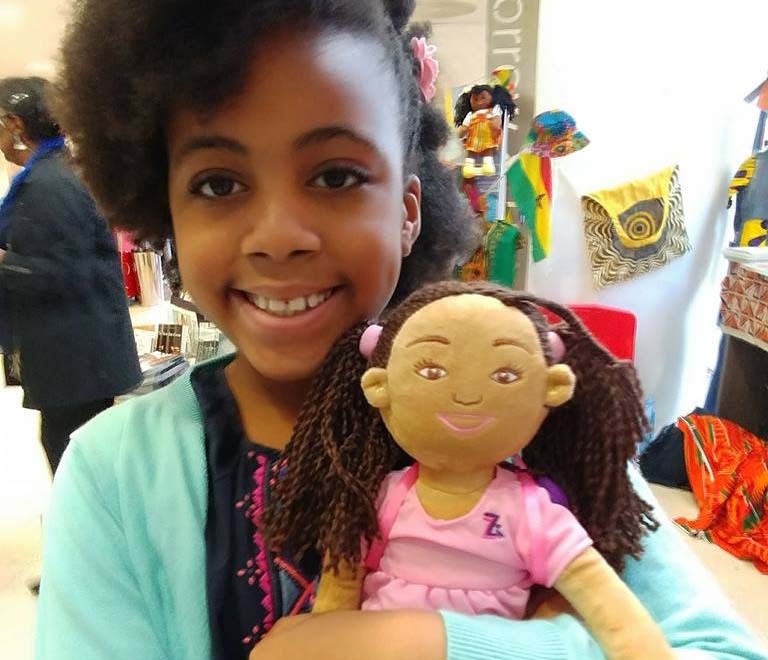 Taofick Okoya is the Nigerian entrepreneur who created this range of dolls to give African girls dolls that “reflected their culture and heritage” – in other words, dollies rockin’ a Naija look. The Igbo, Hausa and Yoruba dolls have royal ancestry. Maybe you do too? The story is a good one. Local women hand braid the girls’ hair and sew the modern and traditional outfits. Recently the company was proud to announce the fact that they outsell Barbie in Nigeria! 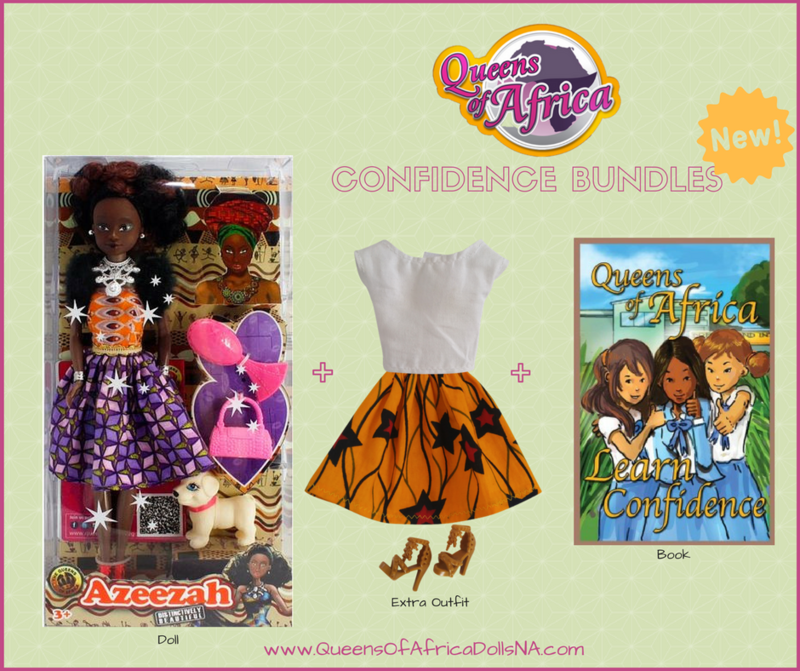 The website – which is full of lively African content – gives links to where the dolls are on sale globally. There are storybooks too. US doll mommies can head to Amazon. 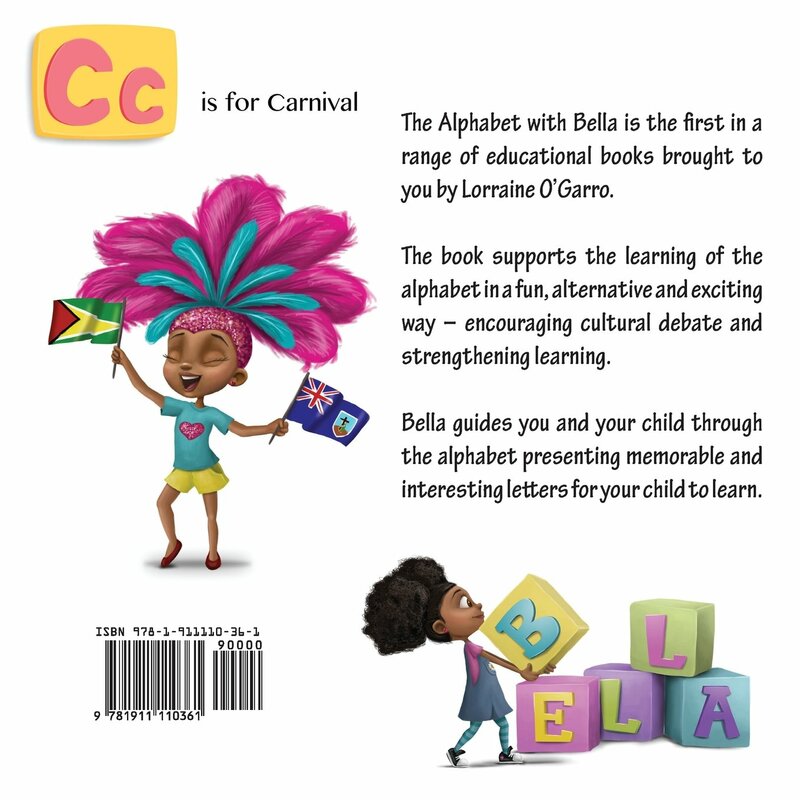 The doll is not yet on Amazon UK so for now either head to Zolie’s store on her website, ask your friends in the US or try Coloured Goodies in the Netherlands. More on them below. Zolie Zi is back in London next year and I am sure the merchandise will become easier to buy. Not met Zolie Zi? Our interview with Zolie herself is right here. 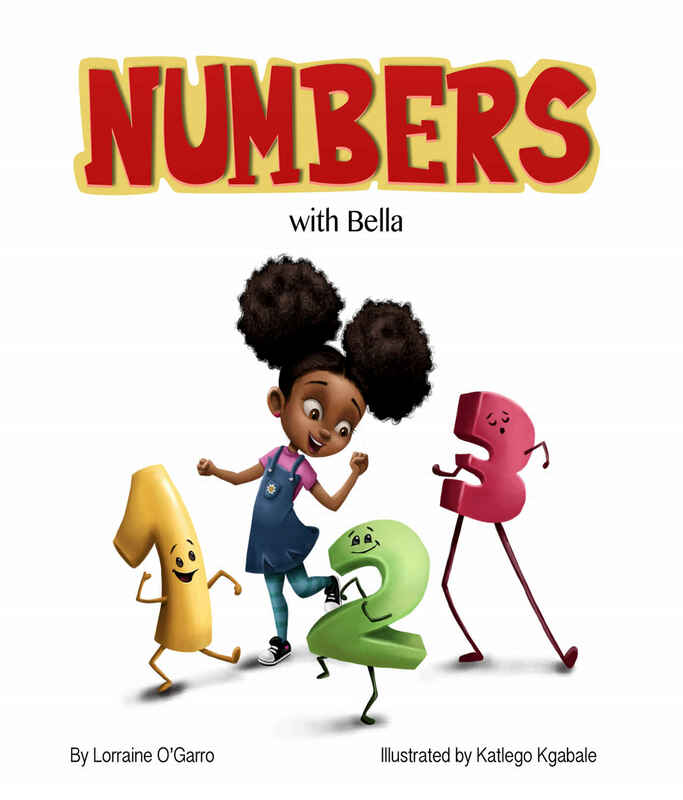 This site is a treasure trove of items that kids will love. After you log in, hit translate as the site is in Dutch. They have dolls, toys, books, a useful range of greeting cards and clothing. 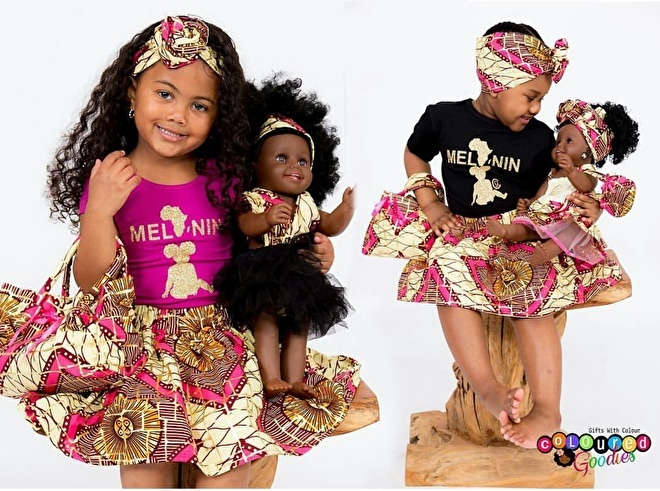 They make good use of the famous Dutch wax print fabrics and you can buy dresses for Barbie-sized dolls as well as very sweet head-wraps for baby dolls. They have a wonderful range of baby dolls. There are plenty of baby boys in there. Shanice and Jaylee are not just beautifully dressed but soooo darn cute!! It is easy to feel daunted when you go into Amazon looking for a black Barbie doll. The prices can be shocking and how on earth do you choose? I’ll give you a few tips. Don’t look for black Barbies Amazon and Mattel who make Barbie dolls tend not to to use the word black. Barbies come from California so the terms AA or African American are used instead. Keep it simple You know that your doll will probably spend most of her life in the bath in her swimming costume. Don’t overspend on lavish dresses unless you really want to – or if the doll is for a collector. I have put a few cash-splashing options at the bottom. Keep it current The dolls are changing all the time and usually to current dolls are the most affordable. They tend to have simple outfits and cost around ten British pounds in the UK. At the moment the Fashionistas collection seems to be where the new dolls are. For the gorgeous doll at the top of this page type in Fashionista Fancy Flowers. Other dolls of colour are Fashionistas Zig and Zag Curvy Doll, Fashionistas Boho Fringe, Fashionistas Emoji Fun. Outside of the Fashionistas there are other dolls with more accessories that will make great Christmas gifts for around 20 pounds. 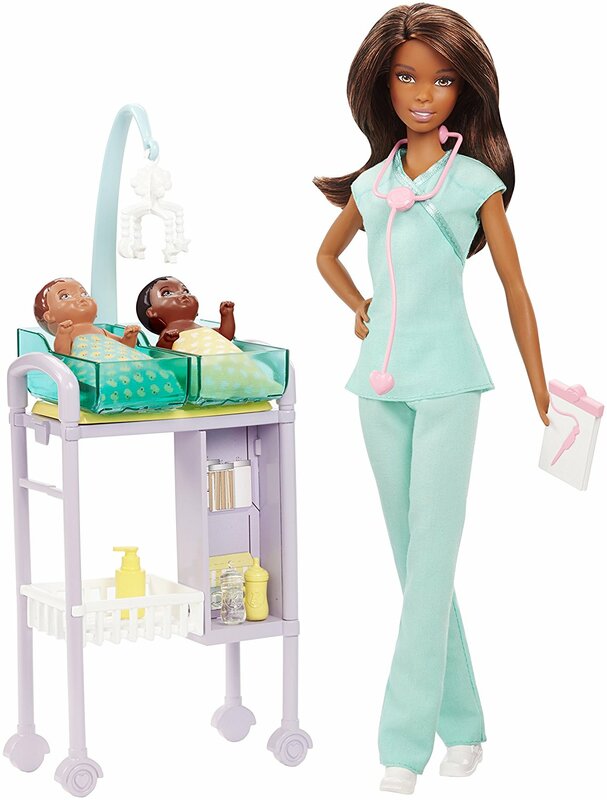 Her name doesn’t trip off the tongue but Barbie Careers African American Doll and Play-set is a gorgeous doll who comes with very sweet, tiny babies that she has just delivered successfully. The Made 2 Move Soccer player is a beautiful athletic doll. So is Barbie Endless Moves Doll with Yellow Top. 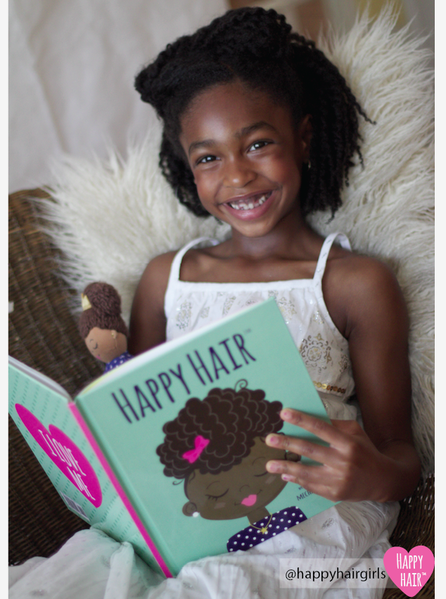 Mix ‘N Color Barbie Doll (AA African American) has hair colours and salon accessories. In my day Christie was the name to search for but she is now vintage and priced accordingly. In the 1990s I would go to Woolworths in Brixton and pay a fiver for a swimsuit Christie on my way to work. Another doll whose price has risen is My Scene Westley. Better to try eBay for old dolls. That will be my next doll post. Christmas is coming so hurry up and get shopping.